Mrs. Luke Stafford was born in Leeds, in 1851. When quite a child she became a favourite of Rev. John Harvey, then our minister in Leeds, and at twelve years of age she entered his household and lived with him till his death in 1894. She has been well termed “his ministering angel,” for during long and painful affliction her devotion never faltered, and there is no doubt that her loving care prolonged his life and enabled him to continue his written ministry. On Mr. Harvey’s death she settled after some months in Burnley, and there proved a staunch friend of the ministers, several of the junior ministers making their home with her. In 1897 she married Rev. Luke Stafford and travelled with him in Wellingborough, Reading, and Bradfield circuits. In Bradfield she had a serious illness from which she never fully recovered. 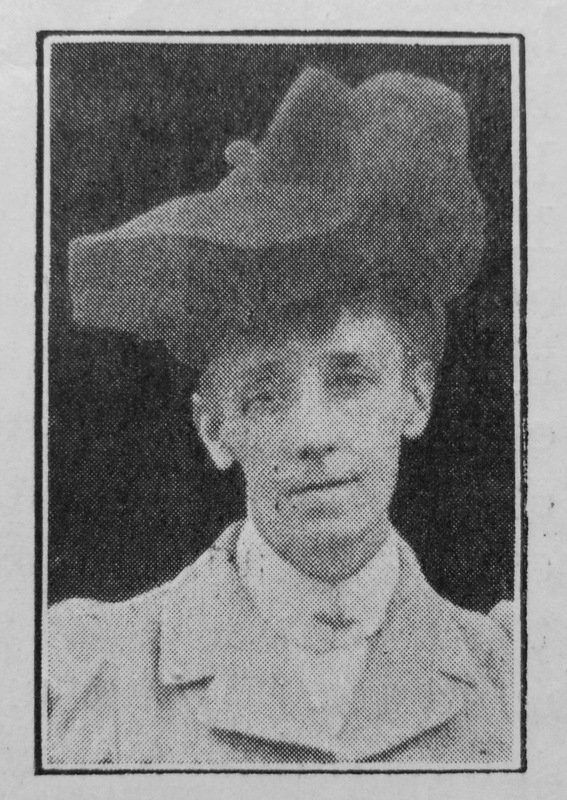 When her husband superannuated in 1903, they settled in Knaresborough and rendered most timely service to our Church. Mrs. Stafford’s health being still poor in April, 1906, they removed to York in the hope that strength would there return. For a brief time she seemed to benefit from the change but soon serious symptoms were again manifest and on December 13th, 1906, she passed home. The grave in which Mr. and Mrs. Harvey were buried was left so that she might be interred there, and fittingly. they rest together. The interment took place on December 15th, Rev. J.H. Hirst officiating at the grave, the service of the Good Templar Lodge, of which Mr. Stafford is Chief Templar, also being read. The service in Victoria Bar Church was taken by Revs. H. Aldridge, W.L. Fallas, and J.P. Osborne, who gave the address. An impressive memorial service was held in the same church on Sunday evening, December 30th, the Rev. J.H. Hirst being the preacher. Amanda was born in 1851 at Hunslet, Leeds, Yorkshire, to parents Marmaduke Winder, a tailor, and Jane. Amanda married Luke Stafford (1834-1923) in the summer of 1897 at Dewsbury, Yorkshire.